Hello and welcome to our UK cruelty free makeup site! If you are interested in the cruelty free lifestyle then you have come to the right place. There are lots of UK cruelty free makeup brands on the market that claim to be cruelty free. Finding ones that actually are can be a challenge. In the UK and throughout the EU testing on animails is banned. Across the rest of the world this is not the case, with big brand names exporting makeup products that have been tested on animals. Although the UK bans animal testing for cosmetics, some well known brands are not as cruelty free as they seem. We aim to be the go-to place for cruelty free and vegan makeup resources. Not only where to buy, but where not to buy. What you will find on this site are UK cruelty free makeup products and brands that are 100% cruelty free. The more you learn about cruelty free products the more it becomes clear that testing on animals is wrong. Its unnecessary that large brands across the world test their makeup products on animals. Take a look at our reasons why cruelty free is the way to go. 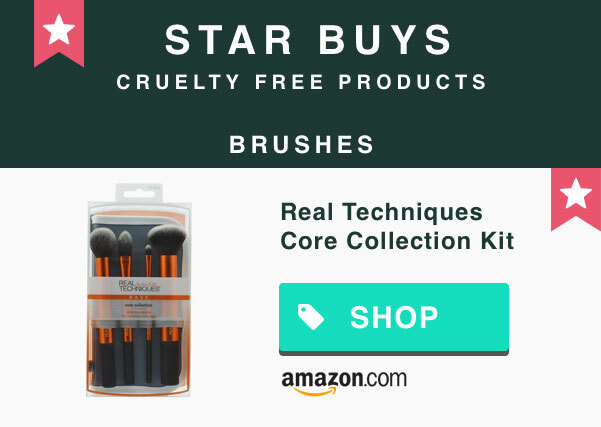 Where to shop cruelty free! Here are some of the best places to shop for UK cruelty free makeup. Amazon is the largest online retailer. The good thing about Amazon is that you can find pretty much anything you want, all at competitive prices. This also goes for cruelty free and vegan makeup, there are lots of brands to choose from with options for free delivery. You may not know that The Body Shop is super cruelty free. I say ‘super’ because they not only sell 100% animal friendly products, they also have been campaigning for animal rights since the 80s. We absolutely love heir range of makeup products they sell, they have tons! If you want to know more about shopping with The Body Shop, check out our guide here. e.l.f are are an international company that sell luxury cosmetics. They are one of the few companies that support PETA’s ‘cruelty free’ values. They provide a full line of cruelty-free cosmetics, bath products, skin-care products and mineral-based makeup at affordable prices. Everyone has heard of Superdrug, its a familair high street brand with over 800 stores in the UK. 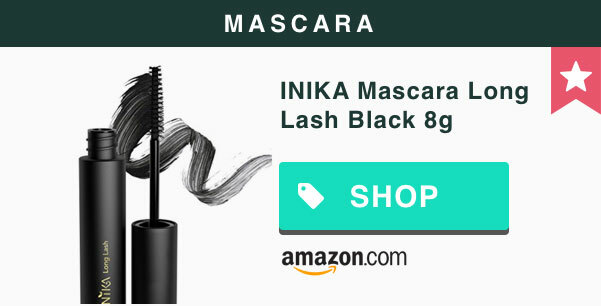 They are the second largest beauty retailer in the United Kingdom and pride themselves in being the best in everyday health and beauty. 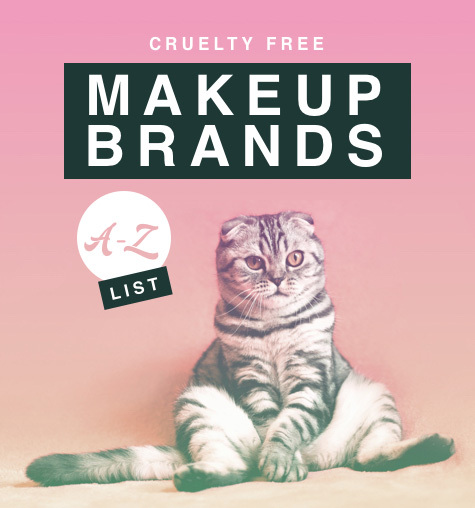 Superdrug’s own range of makeup is cruelty free and is not tested on animals, making a stand in the beauty industry with there exclusive B. range. You can buy their products through their website with free delivery making your cruelty free lifestyle that much easier. Quality and trust are words you would associate with M&S. One of the UK’s leading retailers with a large presence in the UK and internationally. They sell high-quality clothing, homeware and of course beauty products. M&S are against animal testing, they don’t test any of their beauty or household products on animals. 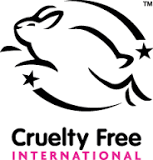 All their beauty products have the stamp of approval from Cruelty Free International. Here are some of the main benefits of shopping cruelty free with M&S. Beauty Without Cruelty is a great independent company that sell cruelty free beauty products. They have been going for over 30 years and has paved the way for other companies to follow in their footsteps. All their products are 100% suitable for vegetarians and vegans and 100% cruelty free. 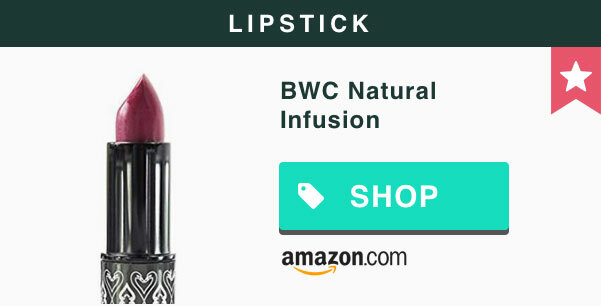 They have a wide range of beauty products that they sell though their own website as well as Amazon and lots more! The prices are very reasonable and are based in the UK. Here are some of the highlights from this amazing brand. From ancient times to the present, women – and men – have used makeup, and nowadays we’re spoilt for choice with products for our skin, eyes, lips and nails. But do we really know how they are tested? And, let’s be honest – do we care? The good news is YES – more people than ever are switching away from big brands (and favourites) because they have found out the truth: these products are tested on innocent animals who suffer a life of pain and severe illness as a result – either dying in the process, or deliberately killed to examine the internal effects of the ingredient(s.
But that’s not all: evidence proves there is no need to test on animals at all. Read on to get informed, and get gorgeous – with a clear conscience! Animals such as cats, dogs, mice, guinea pigs and rats are forced to test chemicals by inhaling, eating them, put into their eyes (causing severe burning and permanent blindness), or rubbed into their bare (shaved) skin. These tests are usually repeated on the same animal for up to 90 days (if it survives); it is often then killed to view any internal damage. What is ‘cruelty free’ makeup? It’s makeup that has not been tested on animals, and has a special label, the Leaping Bun ny logo. The battle against cruelty is a long one, starting with Muriel (Lady) Downing, an English animal rights activist, who was so distressed to discover the horrors animals suffered, she founded the charity ‘Beauty without Cruelty’ in 1959. Why do companies test makeup products on animals? Firstly, money (or so they claim). But when we look at the evidence, it becomes more a case of lack of respect for the consumer (us), and unwillingness to change. So what is this evidence? Big companies like L’oreal and Coty, for example, often manufacture their products in China because it’s cheaper. Worse still, the writing on big company labels often claim they are cruelty free because the company has connections with countries in the E.U. – this is a loophole in the law, and amounts to one big lie. Take Urban Decay for example, which does not test on animals – BUT – because it is owned by L’oreal, some of its money goes to that company, maintaining the cruelty loop. So why haven’t these companies been exposed? Well, they have – many times – but we never hear much about it, because money is power, and these companies have lots of it. Yes, It’s easy to be fooled by their seductive adverts, but knowledge is true power, because it gives us choice.That’s why more and more people are choosing not to support them by buying other, more honest, cruelty free brands. Secondly, companies are driven by time. It’s easier to keep things the way they are, reaping huge profits, than lose a little money by switching to cruelty free testing methods and ingredients. Many smaller companies use cruelty free ingredients and not only are successful, but continue to expand, thanks to the public learning about the true situation and supporting them. The fact that cruelty free ingredients have already been tested and are in use, would reduce costs – not raise them. After all, once an ingredient is proven safe you don’t need to keep testing it! Lastly, if you’ve got a cruelty free product and want to sell it in mainland China, you have to agree to animal testing by law. Such companies may state, in very small print: “We do not test on animals unless required by law”; which really means: yes, they do. If that all sounds confusing, don’t worry – there are many websites who list ‘cruel’ brands for you to check. To start off, you may like to try this one – it also tells you if other, subsidiary companies are attached to the main ‘culprit’ so you can avoid them. e have also put together a cruelty free makeup list which we are updating all the time. Why buy cruelty free makeup, and is it less effective? As well as helping to save innocent animals who are tortured by the testing process, you get more value for money. This is because there are many British brands as well as others, who work in an ethical way to put profit back into your pocket by keeping their prices competitive. Some of these are vegan – so they are 100% cruelty free by not using animal products at all. Notice the price difference – unethical brands can cost up to three times as much (or more) – especially if they’re well known. We’ve all heard of the benefits of using natural ingredients. They are generally more effective, and kinder to our skin, hair and nails. Many cruelty free companies avoid synthetic/man-made, chemicals so they don’t need to test on animals in the first place. Where chemicals are used, there are usually less of them than in unethical brands. Is cruelty free makeup any different? Yes – but in a good way! It performs the same, (some have reported better), is less likely to clog up pores and feels of equal – if not higher – quality as mainstream makeup. The Colour range for foundation and lipstick can be wider, depending on the brand you choose. Whether for skin, hair, nails, lips or eyes there is a cruelty free alternative and a good range of brands to choose from. Superdrug – brands are M.U.A., Superdrug (for cleansers etc.) and B (which is also vegan). Decide if you want animal ingredients in your makeup. If not, choose vegan products. So why not give it a go – not only your skin may thank you, but the animals too!